Our strong and stable barstool is handcrafted in Detroit, made from sustainably grown and harvested plywood, and is formaldehyde-free. Because each Barstool is made-to-order (shown here in Birkhill Stain), it is available in a wide variety of custom colors and finishes. 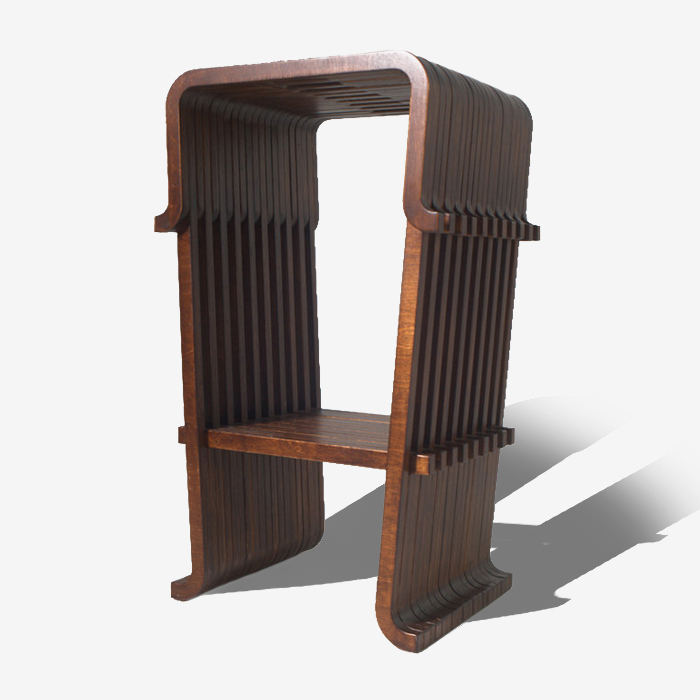 This modified “A” frame stool is our take on the ubiquitous barstool. 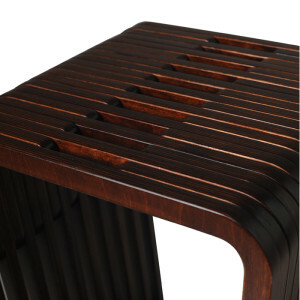 It’s made of 60 accurately machined pieces of Baltic birch plywood which are doweled, glued and blind-nailed together to form this delightfully strong and stable stool. The eye-popping modern design of this barstool will completely transform any bar or counter area, and impress even the most discriminating of guests. 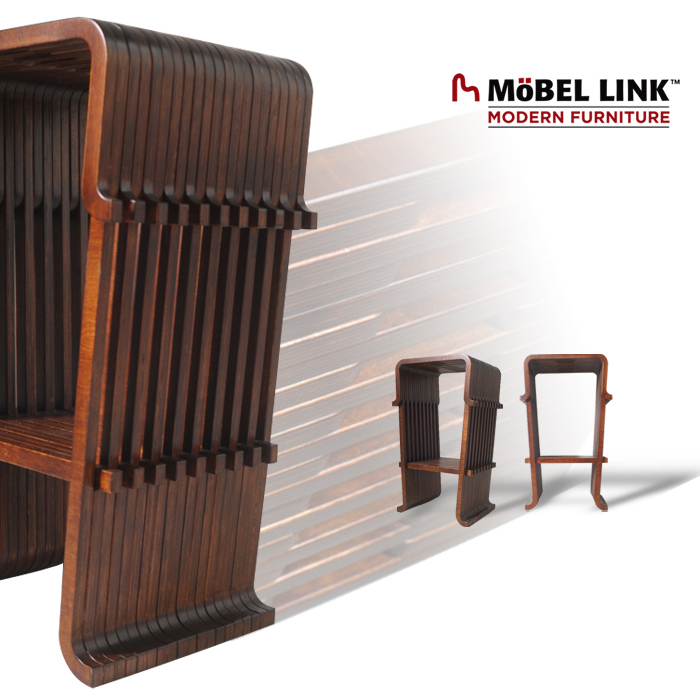 Quantity discounts are available for bars or restaurants ordering 6 or more barstools of the same design and finish. 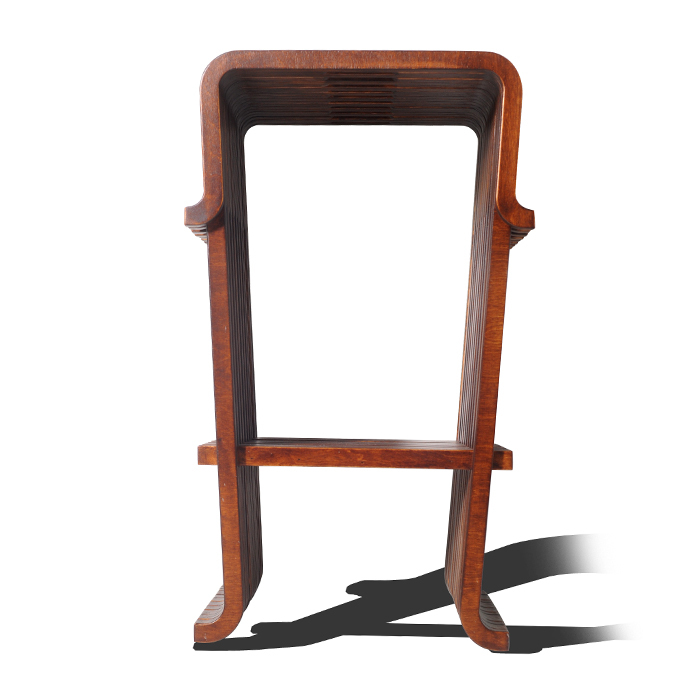 The stool pictured has been stained to a warm brown we call “Birkhill” and then finished with a low-sheen lacquer. Other colors & finishes are available. We can also create a custom color, or custom match furniture you own.